Nanny McPhee: These children need me. Q: What are the five lessons that Nanny McPhee must teach the children? 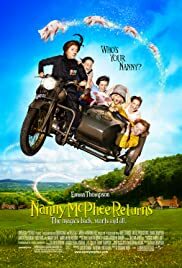 Q: What is "Nanny McPhee Returns" about? I don't know what the critics here were expecting, but from some of the reviews I've read it seems that it wasn't a kids' film. In short, this is a lovely, well-written, beautifully cast film that's executed with great affection and makes maximum use of its chocolate-box locations. Emma Thompson, aside from having no little talent for scriptwriting, is savvy enough to understand that the real stars of this film are the children and, in particular, Asa Butterfield and Eros Vlahos as Norman and Cyril respectively. Rhys Ifans shows what an accomplished comic actor he is, even if his performance as Uncle Phil seems to draw much, both in characterisation and delivery, from that of Matt Dillon's portrayal of Healy in There's Something About Mary. There's a lovely turn from Maggie Smith as Mrs Docherty and a reassuringly exuberant performance from Sam Kelly. If there's a lull, it's when the action moves away from its countryside setting, although the scene played between Vlahos and Ralph Feinnes works nicely. At a little under an hour and fifty minutes, it's quite long for children, yet my five- and eight-year-olds sat transfixed throughout. And in the end, that should be the yardstick by which any film aimed at younger cinema-goers should be measured. As to Thompson herself, she is sublime when required, understated when the surrounding action demands. 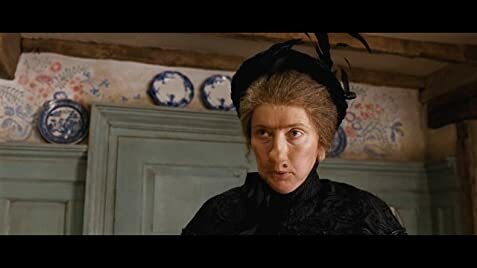 The reviewer who likened her performance to that of Roger Moore does not, I would suggest, appreciate either the characterisation of the Nanny McPhee role (much can be, and is, portrayed by simple facial expressions) or the very real acting ability of our erstwhile Bond. Comedy isn't all about snappy one-liners and the ability to convey comedy simply by saying nothing is an art in and of itself. In the final analysis, this is a better film than its predecessor. It is more lovingly-crafted, less fantastic in the literal sense and more sharply observed. Watch it for what it is - a modern take on the old Mary Poppins story - and you won't be disappointed.